Are you sitting on a goldmine in your coworking space? That Starbucks mug at the back of your mug drawer may be worth thousands. 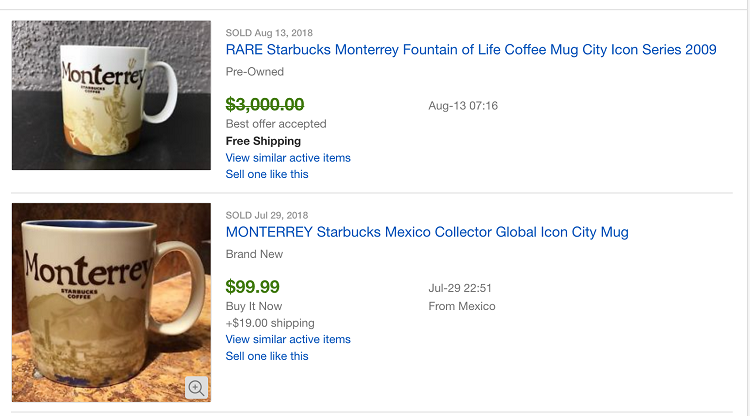 People collect Starbucks mugs and pay, um, insane amounts for them. Your coworking space may be housing thousands of dollars’ worth of random collectibles and stuff that has no value to you but is of high value to someone else. Suzanne Wouk, founder and CEO of Sellhound, a platform that supports sellers with searching, selling and managing their stuff, explains that the secondhand market is hot right now, with no signs of slowing down. Wouk explains that, oftentimes, the most valuable items are not what you’d think. An experienced picker, serial entrepreneur and member of NextSpace Santa Cruz since 2012, Wouk built Sellhound to be an aggregator of marketplaces that has a comparison search for price and a marketplace directory. The platform, which is the first ever search comparison for secondhand stuff, launched in August of 2017. 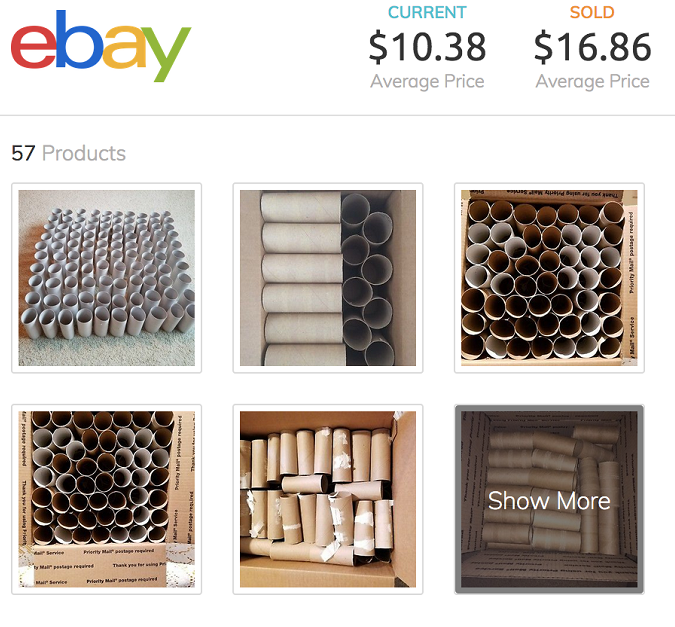 It now offers a free secondhand price comparison search and is soon beta launching a posting and listing app. Sellhound has big plans for the future. The company has already closed close to $1 million in funding, it has 10,000-plus people on the waitlist to beta test the app, and it has a team that includes people from eBay, Alibaba, the public sector, sustainability, Wall Street and more. The magic of Sellhound is that it allows people to upload a few photos of their item, or items, and that’s it-Sellhound does the rest, including writing custom descriptions for the different marketplaces, sorting items into product types and weighted attributes, manufacturer, listing, sales tracking and more. 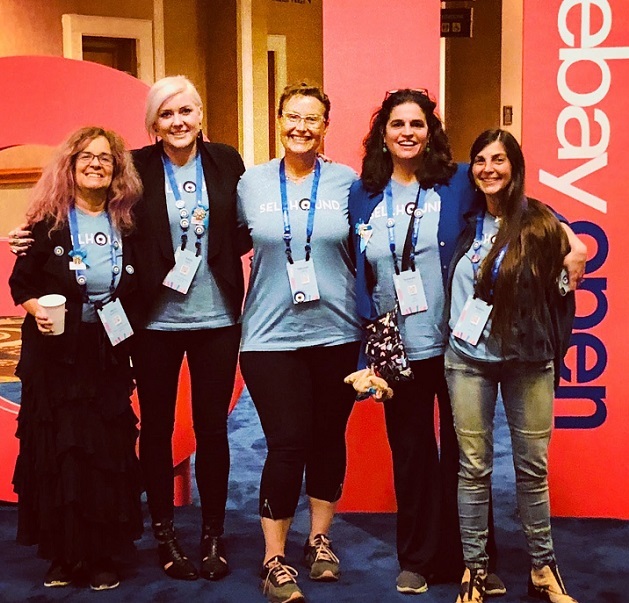 Sellhound Team at Ebay Open Seller Event. Sellhound uses Artificial Intelligence (AI) with humans in the loop, with a combination of image recognition, crowdsourcing, machine learning and their own database. Wouk wants to solve the problem of stuff. One of her inspirations is the Story of Stuff, a “global movement of changemakers.” The bigger vision for Sellhound is to allow you to take a few pictures-or even a video-of a garage, bookcase or kitchen. Sellhound would then create an itemized list and tell you where you can sell the items and for how much; or where you can share or rent something like a boogie board; or a nonprofit that may need your item; or that it is trash and how to ethically throw it away. What kinds of treasure might be hanging out in coworking spaces? Wouk says you’d be surprised by what people pay for, and how much they pay. Here are 13 items you might find in your coworking space that could be worth thousands. 1. Starbucks mugs: People pay hundreds or even thousands for collectible Starbucks mugs. Wouk showed me one that sold for $3,500. 2. Old computers: Those computers and monitors in the junk closet may be worth good money. Search Sellhound to see if you’re sitting on any collectible computers. 3. Tech gadgets: You know those gadgets and accessories you have stuffed into a box? Pull them out and see if any of them are collectible. You might be surprised by what you find. 4. Conference swag: Conference swag, including lanyards, is a little sub-universe of secondhand selling. It doesn’t have to be swag from the first conference in a series to be valuable. Those pens, stickers, branded gadgets, lanyards and random odds-and-ends just might be hot items on the secondhand market. 5. Tech t-shirts: Collectors are looking for t-shirts from all kinds of tech-related companies. If you have an early Apple shirt, you can likely fetch big money for it, but lots of other company shirts are desirable, as well. 6. Lava lamps and random decorations: An old lava lamp that was sitting around NextSpace is valued at $50. Yes, that’s not huge money, but $50 is $50. 7. Keys and keychains: Wouk once sold a hotel key that had an ad for the hotel’s in-house Starbucks on it for $150. Keychains from various companies and events can also fetch some cash. 8. Toys: Collectible toys, like those that have been on your desk for the last five years, sometimes go for a ton. For instance, a Mr. Incredible 8-inch plush doll sold for $15,000. Yes, you read that right. My Little Pony stuff and Japanese toys are other desirable collectibles. 9. Trash cans: If you have vintage trash cans in your space, do a quick search to see if they’re worth something. You might be pleasantly surprised. 10. Empty boxes: People pay for empty boxes. They pay for MacBooks, game consoles and iPad boxes, but they also pay for ordinary old cardboard boxes. 11. Empty Altoid containers: Yes, this is a thing. 12. Toilet paper rolls: This was the most mind-blowing thing for me: people pay for the cardboard tubes inside of toilet paper rolls. Apparently, crafters have a lot of use for these and don’t generate enough on their own. If your coworking space is anything like our coworking space, you can collect dozens of these each week. 13. Coffee cans: For those spaces not serving local, craft coffee and are instead serving something out of a can, those empty cans may be worth something. To see if you have treasures hiding in plain sight in your coworking space, check out the Sellhound search feature. It will serve up results from dozens of marketplaces and show you the best ones to list your stuff on. While there, you can get on the waitlist to beta test the app when it launches. by Cat Johnson, storyteller and content strategist for the coworking movement, and proud NextSpace Santa Cruz member.